Although he also grew up in an electronic-filled and increasingly online world, Vladimir Andrei, aged 19, is no stranger to the traditional means of loom weaving fabric, hand spinning, knitting and embroidery. 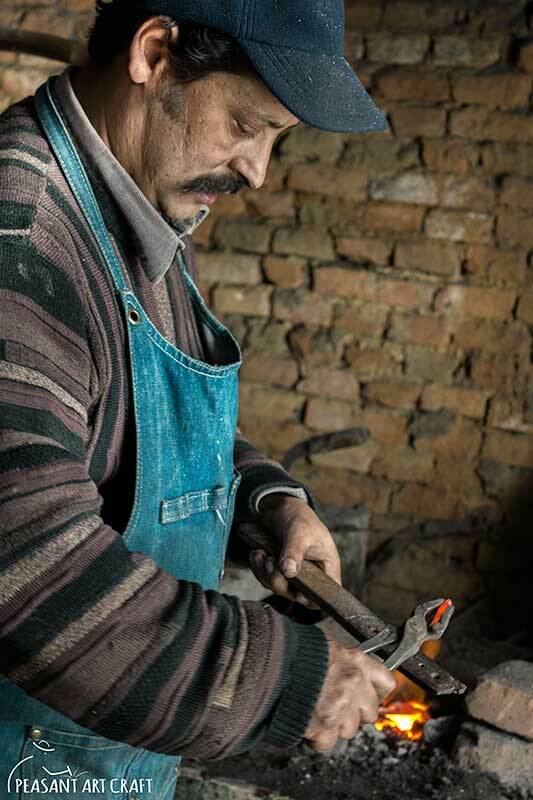 While the millennials ceased to express interest in these centuries-old forms of traditional craftsmanship, we have only a few young people left with wonderful skills, making traditional work. Since last year, when I read an old article about him, I wanted to meet him in person. The feeling was mutual, because he too was following our blog and happily accepted to meet with us at his residence in Bârlad, Eastern Romania. His workshop is equipped with old weaving and hand spinning tools that he collects and uses for his projects. Here he stores raw materials up for future use: wool for socks and vests, and hemp for making rugs. He is no stranger to processing of wool and hemp, from harvesting to dyeing, spinning and hand combing wool and hemp, a knowledge he acquired at an early age. He learned the trade from his grandmother. Andrei wove his first towel when he was six year old. At the age of 12, he was already participating in craft fairs, where he made friends with older weavers, the women who became his “aunts”. The knowledge and skills acquired at an early age, must have triggered a sense of respect toward the “hundreds years of tradition”, a tradition that must be kept unchanged, he believes. Therefore, he uses the same craft methods as the elders do, operating the same simple looms, gathers vintage towels, old blouses, folk art books and studies their patterns. 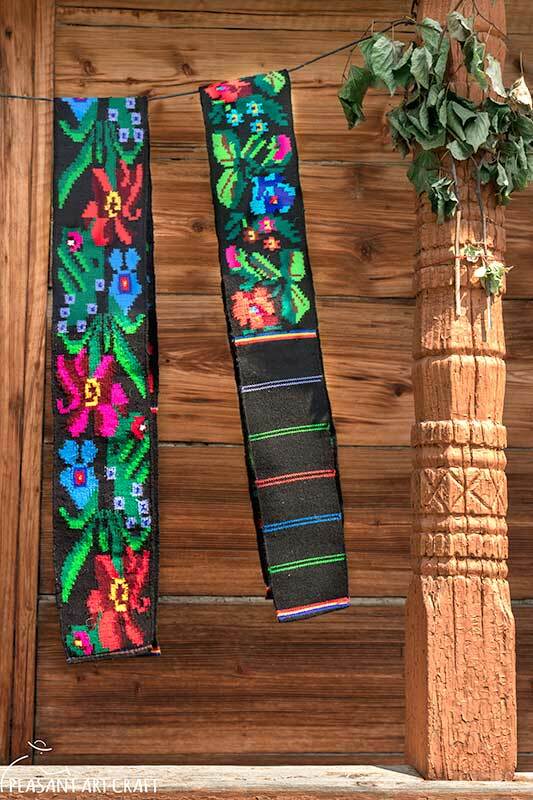 He weaves anything traditional: waist belts, pants (iţari), blouses, Romanian traditional rag rugs, table runners, blankets, knits woolen socks, vests and embroiders traditional blouses. Today he demonstrates loom weaving a traditional towel on a 4 harness floor loom. The technique employed is called “overshot”. Re-styling the tradition is a concept he totally disagrees with, and the reason why he won’t attend profile classes. “It’s where students are taught to break, cut and re-style”. In addition to all these talents, he freshly graduated high school and joined the University of Geography and Geology.